No rest for the weary – just the way I like it. 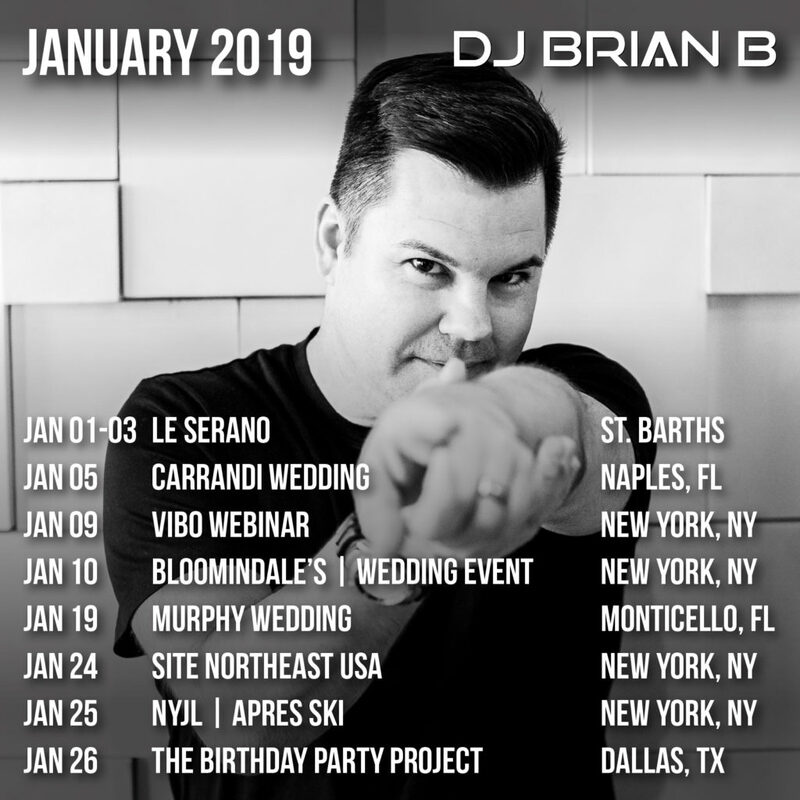 Here’s my DJ Brian B January 2019 Schedule. It may seem a bit light on the event side but that just means I’ve got some projects in the works that will soon be released (hint: podcast, new mixes, video series, etc.) as well as being able to connect with some of the my colleagues, site visits and writing for some industry publications. As far as events, I’m flying back now from St Barths where I spent 2 weeks for Festive performing for a ton of super exclusive VIP parties (sorry, I’m under a NDA) and some public resort events for Le Sereno. Then I leave tomorrow morning for Naples, FL to DJ a wedding at the Ritz Carlton. Next week I’ll be at Bloomindale’s for the annual wedding event at the 59th Street flagship store. I’ve got another wedding in Monticello FL and then corporate and non-profit events the rest of the month. As always, be sure to check my schedule here as new events pop up all the time within the month.